Step back in time and celebrate a piece of Colorado’s history during a free Fall Festival, 10 a.m. to 4 p.m., Oct. 18, at the 17 Mile House Farm Park, 8181 S. Parker Road, Centennial. The outdoor festival hosted by Arapahoe County will be held at the 150-year old property, which served as an inn for pioneers traveling on wagon trains to Denver, and was a working farm for more than a century. The property is listed on the National Register of Historic Places. At the festival, you can pick out and purchase your favorite pumpkin and take a scenic hayride pulled by a team of Belgium horses. Take a turn milking Bessie the Cow and visit her barnyard friends in the petting farm. Enjoy food from some of Denver’s hottest food trucks. Try your hand at gold panning, learn more about the fine art of blacksmithing, tour the farmhouse, meet a local beekeeper and Nature’s Educators Birds of Prey, all while listening to live bluegrass music. The Cherry Creek Valley Historical Society will be on-site to give guided tours and talk about the history of the property and its significance to the Old West. Festival goers also can enjoy stories from former residents of the house. This County-designated heritage area includes a historic farmhouse, red barn, silo and milk shed, which were restored to their known condition in the early 1900s, as well as two replica windmills and 30 acres of scenic open space. The property was preserved and restored by Arapahoe County in partnership with Douglas County, Town of Parker, Trust for Public Land, Greater Outdoors Colorado, Colorado Historical Fund, Colorado Historic Foundation, Cherry Creek Valley Historical Society and the Gates Family Foundation. 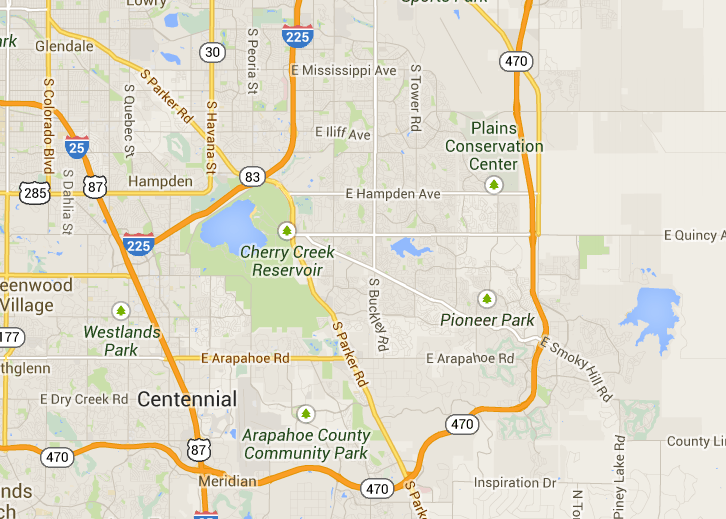 It is managed by Arapahoe County, thanks to the voter-approved Open Space sales and use tax. The restored farmhouse will be furnished in 2013; donations are welcome at the event to help with this effort.